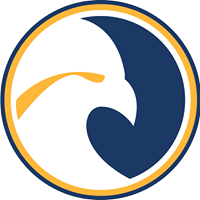 WALESKA, Ga. – The Reinhardt Eagles defeated the Tennessee Wesleyan Bulldogs Tuesday, Nov, 6 leaving Ken White Stadium with a 4-0 victory. 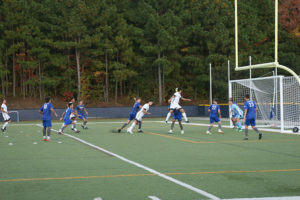 The Eagles recently defeated Montreat College (N.C.) in the opening round of the AAC (Appalachian Athletic Conference) Championship 2-0. This win boosted their confidence going into the semifinals against The Bulldogs. Despite the final score, this game could have swung the other way very early. In the sixth minute Reinhardt fouled Tennessee Wesleyan in the penalty box. Harry Baggaley for Tennessee Wesleyan lined up to take the penalty kick and the early lead, but senior goalie Torge Wiedenroth kept it out of the net and flipped the momentum of the game. After the save you could feel a giant boost of energy go into the Reinhardt players and the fans, even though the score remained 0-0 at half. The second half was much more prosperous for the Eagles, when Victor Profit headed in a pass from Todd Fidler in the 51st minute. The lead for the Eagles doubled in the 62nd minute, when Fidler got a goal of his own from an assist by Taylor Gray. The scoring didn’t stop after that, as Fidler got another goal by himself at 73:51. 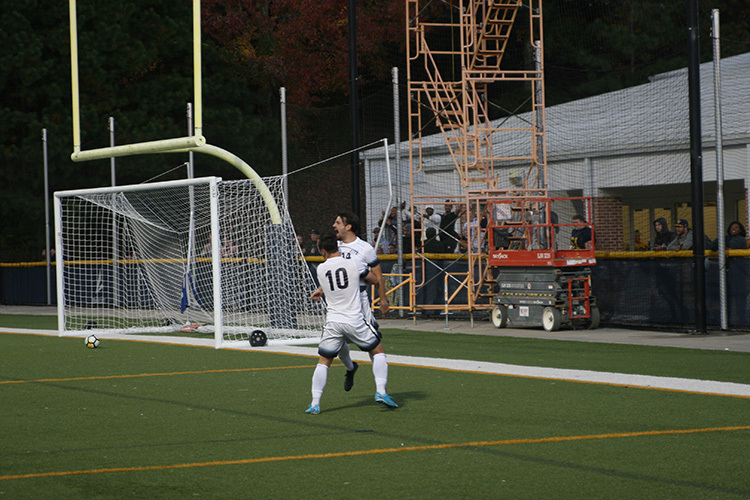 To cap off the scoring, Antonio Ciardiello broke free for an easy goal with the assist coming from Eric Weixlbaumer. The Eagles did not leave unscathed. In the 8th minute, Aaron Whitten re-injured his foot and was subbed out for the rest of the game. A caution was administered to Luke Winter, the head coach of Tennessee Wesleyan after a hard foul by Reinhardt caused him to storm the field to shout at the officials. Reinhardt out-shot the Bulldogs 15 to nine in the match. Wiedenroth finished with six saves and no goals allowed, while Bulldogs goalkeeper Nick Croucher finished the game with four saves and four goals allowed. The match was physical, as 23 fouls were called on the teams.